Thi s article is a good example of how to think about content amplification: all the work required after a piece of content is done to make sure it is seen by as many people as possible. Examples of amplification include paid ads, display ads, social media, email marketing, and referrals. There is a balance that must be struck between creating content and marketing your content. Many folks (myself included) focus too much on creating more content and sacrificing the marketing of existing content which means fewer people see any of it. This post discusses ways to avoid that. 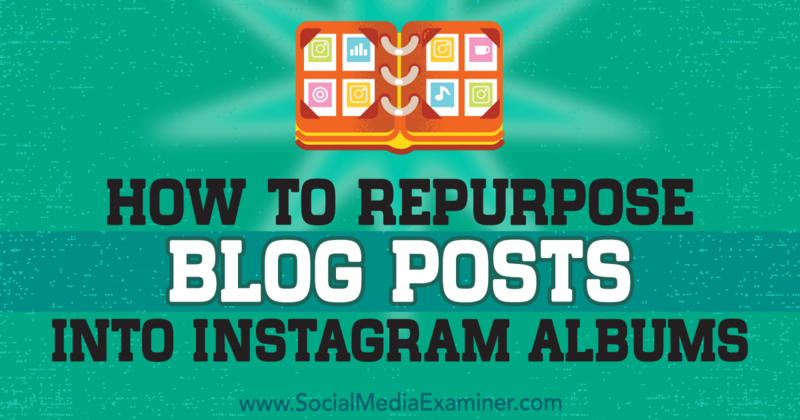 This post covers how to repurpose blog posts into Instagram albums. This is an example of good repurposing where you are taking a core piece of content or idea and publishing it to multiple channels, but for each channel, you are making it native to that platform. Bad repurposing is where you take the exact same piece of content and plaster it all over every social network. The networks each have their own audiences, style, and type of content people are looking for. If you take the time to tailor your content to each network, you should see much better results. This post has a few interesting ideas on marketing your content and some tactics I hadn't seen before. Some of them would take a while to make a difference, but they don't really add any additional time to do, so are worth doing. One example from the article is adding links to your email signature or those of your employees. It's all these little things that add up to overall success. This post covers 8 topics to think about with your Facebook ads and how you can learn to be better at them by looking at your competition. There are great examples for each of the 8 areas covered. One that I liked the most was trying to get some kind of before and after message or imagery into your ads (Note: Facebook terms and conditions prohibit this in areas like fitness and health). The allowable examples I'm imagining are a person on the left looking overwhelmed and a person on the right looking calm if the ad is covering something like productivity tools. On Instagram in particular, influencer marketing is really taking off. The idea is that you enter into an agreement with an influencer to promote your product in return for some form of compensation. The big celebrities have been doing this for a while, but the concept is becoming more broadly available via micro-influencers. These are folks with thousands to tens of thousands of followers as opposed to millions. Micro-influencers can deliver great results if you find those that are in your target niche, have relevant followers, and have high engagement from their followers. A deal could be a simple as giving them free access to your product in return for a specific number of posts to their followers. Or giving them a discount code they can provide to their audience. This post covers a number of strategies and tactics. 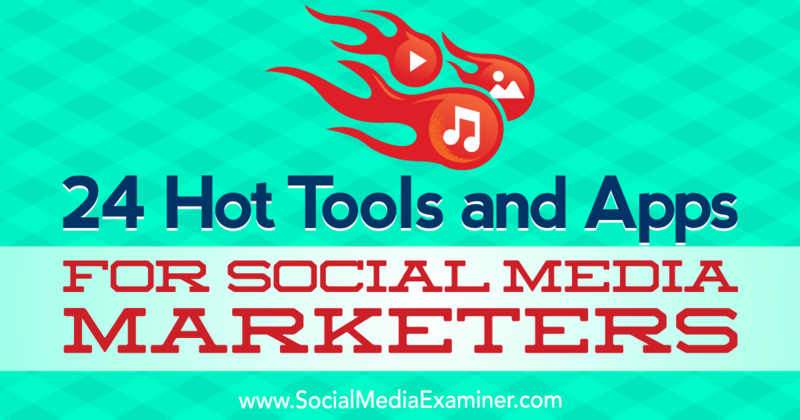 Lots of tools in this post that I hadn't heard of before. Most are very small, utility type programs for text, audio, and video that can help save a lot of time and appear to be pretty simple to learn. One I want to try is Narro, which lets you bookmark articles then the service converts the text of the article into audio you can listen to on the go.